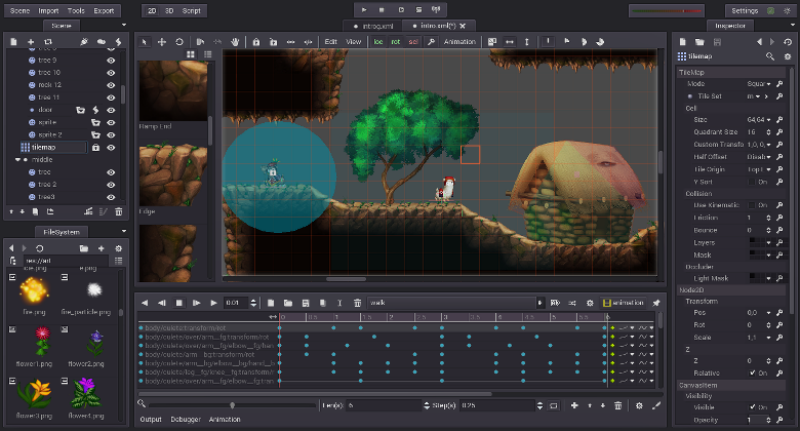 If you are looking for a game engine with a flexible animation system and user-friendly features, you should consider the Godot Game Engine. This is a free and open-source workspace for developing and animating both 2D and 3D games. Its scripting language is similar to Python, and creators claim it is “designed to make games with zero hassle”. The engine’s built-in debugger can do live debugging while the game is running on a mobile device. The UI of Godot’s visual editor looks clean and easy to navigate. Its customizable interface is suited for different tasks like graphic design, level design, and animation. Godot is available on Linux, Mac, and Windows devices. Learn more about this game engine here.